Who say Buyan-M will replace Steregushy corvettes? They are different ships for different tasks. Buyan-M is sea-river class with powerful cruise missiles. Steregushy corvettes will deal with ships and subs, while Buyans will more support ground operation and provide coast defense with long range anti-ship missiles. sepheronx wrote: They cancelled the 85 specifically for the engines but chances are same equipment for the 80 using the Russian engines. I thought they were made to operate under land based SAM umbrella? Dunno. All I know is that they have Gibka onboard. I think if they were able to have something that could use the 57E6 missiles like Naval Pantsir would be ideal too. Would give it a very effective air defense capabilities. Both 85s will have Russian engines. The canceling of further ships was due to the excessive cost of this variant, it ended up costing almost as a Gorshkov frigate. The Buyans used MTU German diesels. But they are being substituted by Kolomna built ones. The only classes of vessels affected by politics are the ones on the Gorshkov and Grigorovich class frigates. But I heard that they were replacing them with Russian engines as there is already various prototypes of the same type of ship based diesel electric engines, but of various sizes and capabilities. That said, the 22800 project ship will probably be replacement for various types of ships for rough seas. Since Buyan-M proved itself recently, I imagine there will be a further demand for such a ship and the 22800 is probably just that - an ocean based Buyan-M. Hopefully with a more powerful air defense system though. Buyan-M is sea-river class of ship and also very suitable for Baltic fleet, because it could well operate in Neva river and its delta as well as at Baltic coast. I wouldn't underestimate Buyan's air defense at all. It have quite powerful guns with its 100 mm gun and Duet 30 mm twin Gatling. Two Gibka complexes with Igla-S or Verba missiles are also quite capable and they all have all weather day/night capabilities. For the ship of its class, Buyan-M have quite powerful air defense coupled with very strong ESM equipment. If I recall, somebody said it only has point defense to guard itself against possible missile attacks. Other defenses are provided by either land based SAM umbrellas or static sub defense/friendly subs. It's more of a missile barge than a corvette. With a gun. 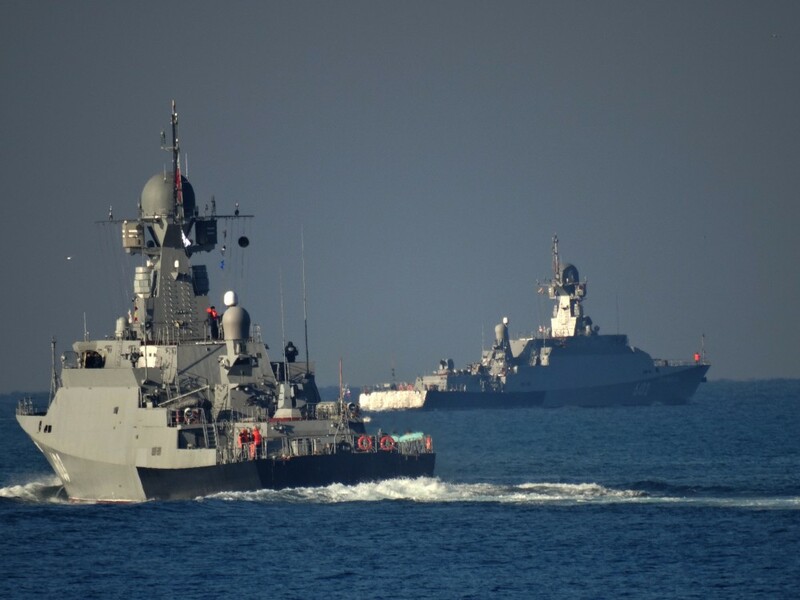 Is the Caspian Sea Fleet a Game-Changer? Russia is far ahead of the US, not only in faster but more effective implementation of the ‘distributed lethality’ concept turning a group of small vessels into powerful weapons, an American website reported. Russian Kalibr-NK cruise missile system' launch from the Caspian Flotilla of the Russian Navy on October 7 has been ignored by many military analysts, but in fact the opportunity to conduct high-accuracy strikes at a distance with small, inexpensive and relatively simple vessels is crucial, the American portal Defense News says. Some targets in Syria could be hit by other means so, according to US officials, as quoted by Defense news, the launching of Kalibr-class cruise missiles was intended to make it clear to the world that Russia has this technology and that the country can deploy it. According to Washington-based naval expert at the Center for Strategic and Budgetary Assessments Brian Clark, Kalibr missiles turned Buyan-M into a ship of ‘distributed lethality'. This approach allows installing rockets on several small vessels, dispersing them in a way to be less visible, and combining them to obtain the desired impact force, explains Clark. The United States sought to implement this concept, says the expert, but Russia has shown that it has already achieved. The analyst points out that small Russian missile ships with a displacement of 900 tons are harder to detect than the American coastal zone warships (LCS — Littoral Combat Ship) with a displacement of 4,000 tons. According to Clark, Buyan-M corvettes can be bought in large quantities, and, compared to the LCS, "surface-to-surface" missiles can be also deployed on them, so to have even more effectiveness than the one sought by the United States. The US is developing an enhanced version of the LCS, but it is unlikely it will be as good as Kalibr cruise missiles, says Clark. According to him, the US Navy should be ashamed they let it happen. pissed much? 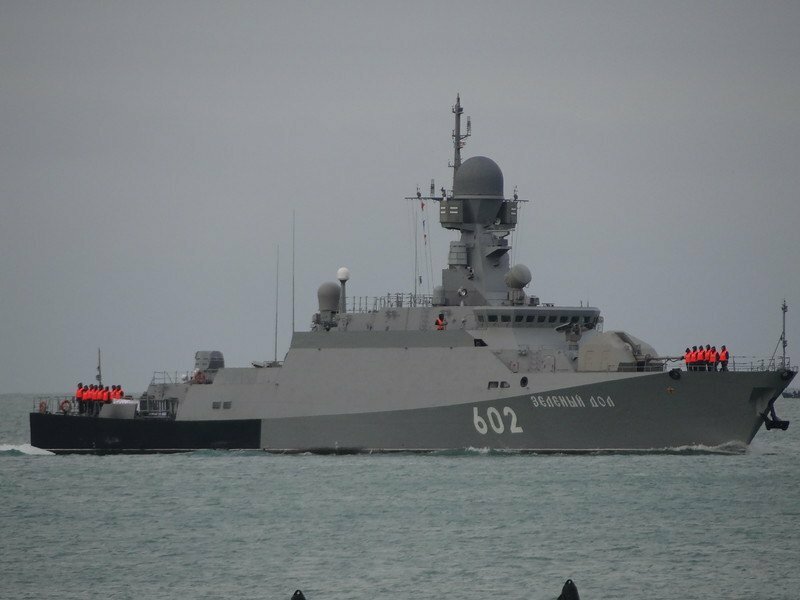 MOSCOW (Sputnik) – Ten Buyan-M class missile corvettes armed with Kalibr cruise missiles will join the Russian Navy by the end of 2019, Navy Deputy Commander Rear Adm. Viktor Bursuk said Friday. The Navy previously said that it planned to receive six such warships. "By the end of 2019, the entire series of these ships will be built, which is about 10," Bursuk said, speaking on the Rossiya-24 television channel. Buyan-M is a 950-ton displacement ship that is 74 meters (243 feet) long with a top speed of 45 kph (28 mph). Among other armament elements, the vessel has eight vertical launch tubes holding 3K14 Kalibr or older missiles models. The ship can carry the Kalibr missiles that were used by Russia against Islamic State militants earlier this month. Serpuhov and Zeleni Dol will be based in Sevastopol. Finally the 2 ships arrive at their permanent base in BSF. Today Caspian fleet again launch Kalibr cruise missiles on terrorists. I wonder when Black Sea fleet Buyans will join the club with real combat cruise missiles launch. Here is really just a question of time, when will the first foreign customer buy this small corvette with so powerful weapon. Other question is, if Russia will sell them. 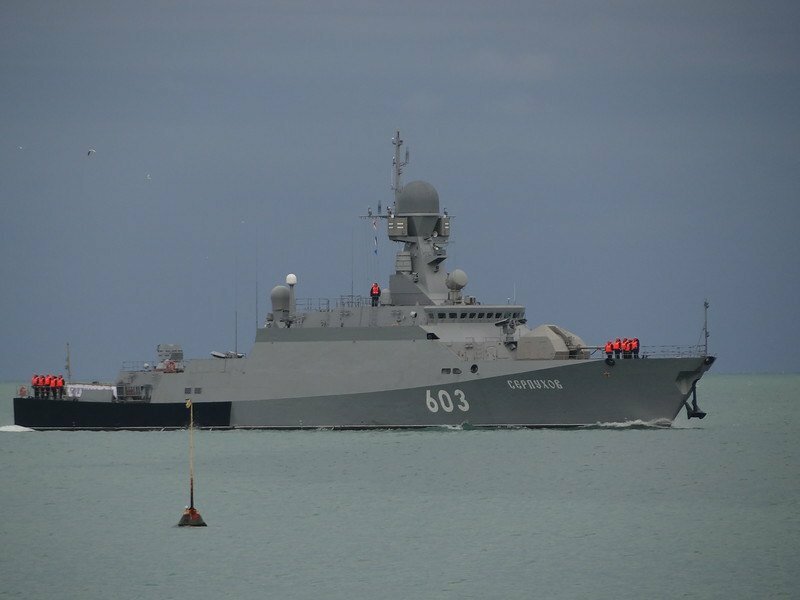 The ‘Zelyoniy Dol’ and ‘Serpukhov’ warships, equipped with the versatile ‘Kalibr-NK’ missile system, have joined the Russian Black Sea Fleet, based in Sevastopol, commander of the Black Sea Fleet Alexander Vitko said. On Saturday, St. Andrew's flag, a sign of the Russian Federation’s Navy, were sanctified and raised on the new ships. The solemn ceremony was attended by commanders of the Black Sea Fleet led by Admiral Vitko, as well as the head of the Republic of Crimea Sergey Aksenov. “The ships were put on combat duty today. Previously, the ships were only tactical, but now they will include operational tasks. Their combat capabilities were seen by the whole world in the Caspian Sea and now they have appeared in the Black Sea Fleet,” Vitko said. Vitko thanked the creators of the ships, the labor collective of the Zelenodolsk plant, noting that the fleet is expected to supply a few more combat units. The ‘Green Dol’ and ‘Serpukhov’ small-missile carriers are the fourth and fifth ships of the modernized series of ‘Buyan-M’, built as part of the Navy's shipbuilding program at the Zelenodolsk plant named after AM Gorky. They have increased displacement and are equipped with the latest ‘Kalibr-NK’ long-range missile system. Here they are, Zelenyi Dol & Serpukhov. From the interview with Director General of Zelenodolsk Plant - There will be 9 Buyan-M in total. The Ministry of Defense wanted to build 3 more Buyan-M of the ice class, but they decided to not to in favor of another project from Almaz design bureau (probably Project 22800). The first 5 Buyan-M have MTU engines, the last 4 will get Chinese engines. Why do they have black sterns?